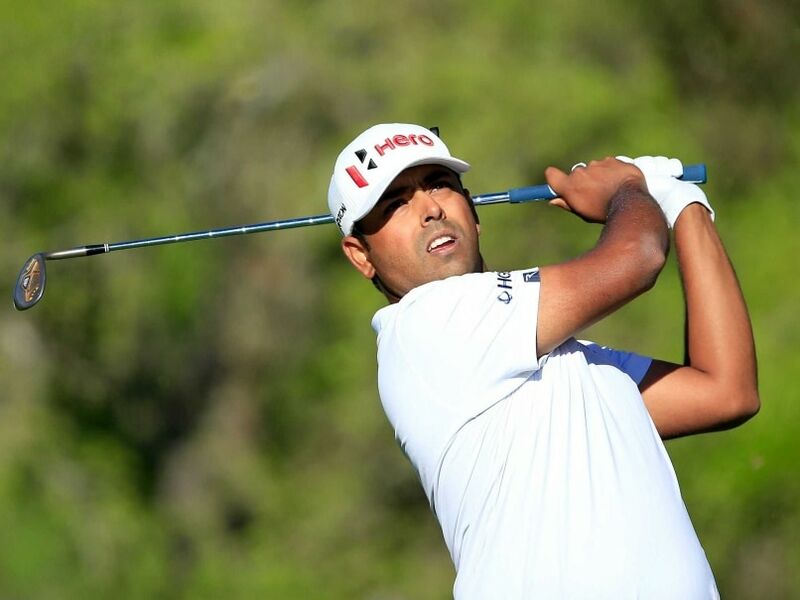 Anirban Lahiri had lost his first match to Matt Kuchar in the World Golf Championships. Lahiri holed a dream eagle putt from 74 feet to go two-up with two holes to go against Rose, but was unable to hold onto that lead as the Englishman won the last two holes to halve the match. The result gave Lahiri half a point, while Rose moved to 1.5 points. With Matt Kuchar, after beating Lahiri in the first group match, and halving his second against Fabian Gomez, the Indian was eliminated. Now Rose and Kuchar, both with 1.5 points will battle it out for the place into the last 16, while Lahiri battles Gomez in the last group match. Jordan Spieth beat Victor Dubuisson 5&4, while Jason Day trounced Thongchai Jaidee 5&3 and Rory McIroy beat Smylie Kaufman 3&1 to notch up their second wins and come closer to a spot in the Top-16. Also winning his second match was Bill Haas, who beat Thomas Pieters, but Haas could still go out if he loses to Adam Scott, after halving his first match with Pieters beat Chris Wood in the second. Patrick Reed and Phil Mickelson won their second matches in the same group and will now clash with each other with a tie sending them into a play-off. Brooks Koepka, Zach Johnson, Charl Schwartzel and Rafa Cabrera-Bello also have two wins each. No player has clinched a spot in the Sweet 16, although five players are guaranteed at least a sudden-death playoff even if they lose on Friday night and they are Spieth, Day, Zach Johnson, Koepka and Cabrera Bello. Twenty-two players have been eliminated. Lahiri's superb eagle on the 16th put him two-up, but the former US Open winner and World No. 8, Rose, hit back on the 17th and 18th to halve a match that was good over for him minutes earlier. Lahiri, flying in all the way from India less than 48 hours before his first match, had lost the first match to Matt Kuchar. A year ago, Lahiri and Rose were all square after 18 holes, before the Englishman won the first extra hole. This year with matches ending at 18 holes and half a point being given to both players, Lahiri was left standing as Rose rose to occasion. Lahiri never trailed in the match. The Indian holed a nine-foot birdie to go 1-up on first and held that lead till the sixth, where both players had a birdie putt from nearly same distance around 18 feet. Rose holed his putt and Lahiri missed to make the match all square. Lahiri again went ahead on the ninth as Rose missed a par putt under four feet to hand the Indian the hole. That lead swelled to 2-up as Lahiri pitched perfectly from 77 yards to within six inches for a tap-in birdie on par-5 12th. Rose meanwhile missed a birdie from 14 feet.